After defeating the sorcerer collector, the gnomes returned the castle to its old form. But it still stood in the grey wasteland, and there nothing could grow. The princess was worried that her people would soon run out of food and start to starve. So she makes the decision to set off on a journey to find the secret Green Recipe. 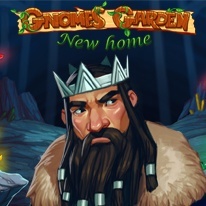 - Over 40 levels and a variety of quests!